Ricky Stenhouse Jr. jumped out to an early lead, but it wasn’t long before Martin Truex Jr. closed in on him to take over and win the first stage. Truex, coming off his second consecutive win at Kentucky, was able to hold on for much of Stage 2 with Chase Elliott, Kyle Busch, Busch and Kevin Harvick close behind. That’s when things got interesting as the leader bounced back and forth from several different drivers down the stretch. 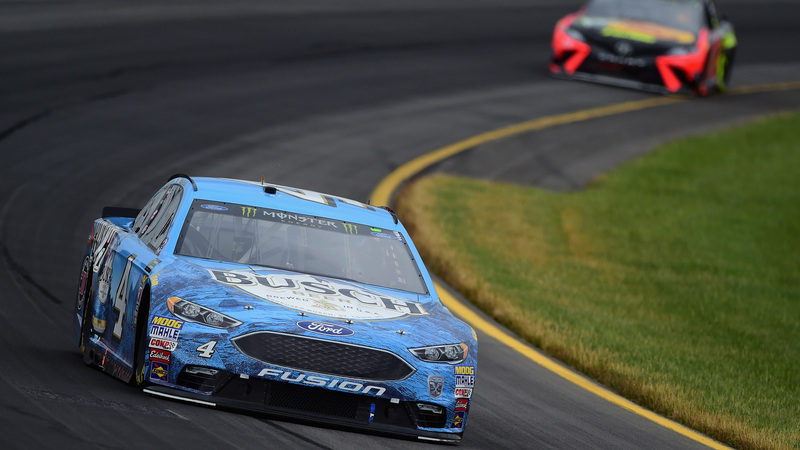 After a restart with only 20 laps to go, Busch pulled ahead while Harvick jumped up to second. Truex was in third while Almirola fell to fourth. [email protected] TO THE LEAD!